This has been a fabulous week! So much has been happening, and I have been feeling incredibly productive! The best news, is that my June mileage has will be my highest since January, which is HUGE progress for me. I’m a happy, happy runner! Father’s Day! And I don’t have a single picture! How did that happen??? We started the day with a delicious comfort-food brunch at a local New Orleans style restaurant. They have the best cheese grits and I had two helpings. Then, we went to Nana and Papa Bear’s. The plan was to go to the pool and then home for a dinner of light snacks. Mother Nature had other plans, though. Not long after we got in the water (and 150 meters for me), the thunder started rumbling and we had to clear out. We were hoping that we would get a break and be allowed back in, but it wasn’t meant to be. It was my mom’s birthday, so we planned to spend most of the day with her. We all went to the pool in the morning for little man’s swimming lesson, and then to hang out. I managed 750 meters while he was working on his endurance. After that, we played and swam until lunchtime, and grabbed salads and sandwiches at the golf club near the pool. I had a few errands to run, so I headed off to take care of those and we all met up again for dinner at a new-to-mom restaurant. I had picked up some specialty cupcakes, so we stopped at a little outdoor area after our meal to enjoy them. Happy birthday to the best mom, ever! Whew. This was a humid run. But I knocked it out and then got myself off to an early staff meeting before my work day. Since little man was spending the night at his grandparents’, we were able to chill out after I got home, and we had a quiet night, watching TV and reading. Those are always good nights. while I promised Papa Bear that we would see Entourage. Wow. I have missed Vince and the boys (and Ari. Always Ari. ), and this movie was everything, It was a perfect homage to the series, and a bittersweet finale to the show. I rushed home because I had to shower and change to go out to dinner for my friend’s birthday. The weather was awful and we had to scratch our original plans due to a ridiculously long wait, but it worked out even better. And the food was awesome, too! It was a wonderful night with friends – I need to do that more. This was the last day of lessons for little man, so I wanted to be on hand to see him in action. He did so great! He ended up swimming 100 meters (four lengths of the pool) with only one quick rest break. While he was crushing his last lesson, I did 800 meters of crawl, breast stroke and tossed in a few lengths of backstroke (which I can’t stand because I don’t like my ears in the water the whole way). Swimming is hard work. To celebrate, we enjoyed lunch and then a trip to Sweet Frog for frozen yogurt. By this point in the week, I really needed to run again, and decided to keep it to just 3.1 miles because I had to get in five or six on Saturday. Back-to-back runs are not my thing, so I try to limit them as much as possible. I also had to tag team with Mr PugRunner. I went out first, and then let him know when I was close to home so he could get ready to head out. We crossed paths in front of our house. I love our morning views. Little man wanted to get in on the stretching action, with his version of the tree pose. That afternoon, we went to see Inside Out again (well, it was my first time) with friends. Little man loved it just as much the second time, and I thought it was exceptional. After dinner, Mr PugRunner took little man to karate and I took the time to start cleaning the house before the weekend. It was an early morning for everyone. I had to do five miles. And Mr PugRunner and little man were scheduled for the All Pro Dads event at Everbank Field. It was a great event that promoted father-child bonding time, while learning some football skills. They had a blast. They had lunch afterwards, and brought me home leftovers for dinner! Yum! Summer vacation has been awesome and exhausting! I am excited to see what’s next! My monthly miles are the highest they’ve been in quite some time and after taking off June from racing, I’m excited to be back out there on Saturday for some 4th of July 5K madness! 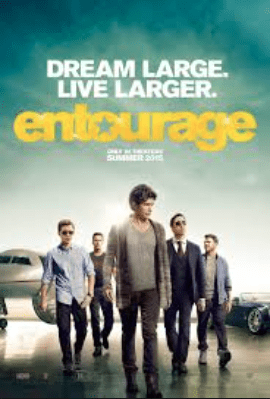 Were you an Entourage fan? Who was your favorite? Wow, summer is busy with a little one! Sounds like you had a great week. I bet all that cross-training in the pool is great for your running too. Way to go Little Man on his swimming successes! AH! Entourage! LOVE the boys. I kind of missed out on the last season, so I really need to go back and catch up before I see the movie. I’m so happy to hear it’s well done. I can’t wait to see it! It was perfection. Seriously. It was done SO well and didn’t lose ANYTHING in translation to the big screen (Ok, there were some absurd things going on with E, but I could forgive that – he was always my least favorite anyway). The only sad thing is that it’s really over now. Yes, things are so crazy. It’s good to be busy, but I’m getting worn right out! Inside Out and Entourage are both on my list of movies to see – hopefully soon. Sounds like you had a great week of workouts. They are both wonderful! I really wasn’t expecting much for Entourage, but it made my heart happy. That really does look like a great week! Can’t migrants on your killer June mileage, I’m jealous haha! 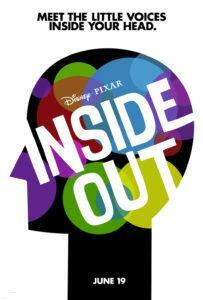 I am also jealous that you seen inside out, I really want to! It is good to see those numbers going up, up, up! Go see it! It was really good! I even cried! Go by yourself! While we were coming out of the theater, our neighbors from across the street (older with adult children) were waiting to go in – no kids in sight! There is plenty of entertaining and poignant material for an adult viewer. Looks like another busy and fun week! Yup! We are having a blast this summer! Congrats on getting in so much mileage this month. We saw entourage and I liked it too as I was a big fan of the show. I haven’t seen inside out yet but we really want to . I hear it’s great! You had an awesome week! So awesome that you’re teaching your son to be so active! I hope that our lifestyle is something he takes with him through his whole life. We are fortunate to live in the heart of an amazing running community with fabulous weather for year-round activity. I love the picture of your mom and son. They look so much alike! looks like ana awesome week! That view is just breathtaking! It sounds like you had a great week! This has been my second lowest month this year. I blame the solo parenting situation. Tomorrow I start fresh, and we are running a 5K on the 4th. Are you doing the Celebration 5K? I am!!! Maybe we can try to meet up! Definitely! It is a family affair so I will be with a double stroller and two blonde girls. The girls are running the mile race. Little man is doing the mile,too! Ok, I will keep an eye out! What a fun week! and it is great that every one stays so active between swimming and running! Makes those cupcakes almost guilt free! 🙂 good luck on the July 4th run! Mary Beth Jackson recently posted…I love my body best when……. We do try. Although this week, I’m pretty whipped. Cupcakes are always guilt free! Wow, your son is a great swimmer!! We are STILL waiting for good outdoor pool weather. It’s only been in the 70’s! I shouldn’t complain though…you are definitely having to tough out some warm-weather runs. Did your little man like Inside Out? I was thinking of taking the kids. jan recently posted…Is professional running pure? The weather for running is so hard. I am dreading Saturday’s race. The heat index is going to be something like 109. Ugh. We all loved Inside Out. It was fantastic. Wow, so much swimming. What great cross training. I’m enjoying it. I wasn’t able to get in the pool this week, but maybe Friday. Your pictures are amazing. I need to take lessons from you!! <3 Thank you so much. I love photography, and it's easy to get distracted when I am out and about on my runs.